Ever since we have established, we Alhyatt Interiors Pvt.Ltd (Engineers & Contractors) have gained a reputation for offering complete package of interior designing services which include designing, planning and installation of flooring and doors. We take complete responsibility for designing bedrooms, conference rooms, home interior and exterior. Moreover, we manufacture all the requisite products, such as wooden panels, awnings, wrought iron furniture, stainless steel furniture, metal home furniture, designer wooden furniture, wrought iron round tables, wrought iron rectangular tables, etc, which are used in the interior designing from our end. As a well managed interior consultancy, we assist our clients in making prompt decision in terms of right design, right color scheme and many more factors, which has made us gain the Quality Brand Award Certificate. Over the years, our tailor made services are offered to an unending list of clients right from corporate houses to private residences. Our well defined knowledge module incorporates space utilization, aesthetics orientation and diverse aspects of architectural understanding has made us gained Rashtriya Udyog Ratna Award. Assisted by a team of experts, Alhyatt Interiors Pvt Ltd (Engineers & Contractors) execute all its activities in most organized order and professional manner, thus offering our clients with utmost satisfaction. This proper order of ours, includes varied areas of planning, execution and finalizing the designs according to the customized specifications provided to us by our clients. Leveraging upon our experience and expertise, our aim is client satisfaction by rendering services, which have the ability to turn a particular living area or working area a place, which meet with all the demands of our clients. The business was started in the year 1995 under the able guidance of Shri Inam Ahmad with firm determination, high interest and immense aspiration. 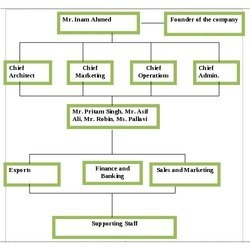 As the business expanded and also as the promoters desired to give the business a corporate shape the entity which was initially Incorporated as a proprietorship firm converted into a Private Limited Company in the year 2011, with its registered office at D/228, Durga Vihar, Phase-2, Dinpur, Najafgarh, Delhi with the name M/s AlHyatt Interiors Private Limited and consequent to that a certificate of incorporation was obtained on March 8, 2011. IBM Daksh Services Pvt. Ltd, Gurgaon. Services of Interior and Exterior Designing. We are distinguished name engaged in offering planned services regarding architectural designing and interior decoration. Over the years, we have won laurels and impressions from our esteemed clients in the entire market. Through our expertise, experience and knowledge, we offer breathtaking designs which perfectly meet with all the demands of the clients. Offering unique designs with timely execution goes hand in hand which is why we give importance at all angles. Through all the initiatives that we take, we aim to meet with all the demands of the clients. 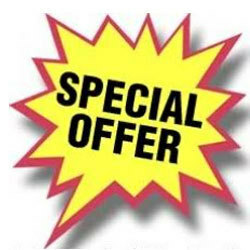 Thus, we aim at offering value for money services which keep clients at the advantageous side. To become one of the top 5 Companies in the Interior designing Industry. The company has not only established its name as one of the successful player involved in the interior designing, but also the company will be associated with the quality and purity of its products with international standards. To enhance geographical presence of its products and services to become a pan- India Entity and also enhance the brand recognition of its products and services. We rely upon our team and their skills sets which make us confident in meeting with all the demands of our clients. Our team possesses in-depth knowledge in the domain which is why we are more prominent in the area of designing and installing. With us, we have a team of professional and experienced architects, designers and planners who have deep knowledge and a creative which helps them in understanding client's preferences and design accordingly. The Company has a big Organization structure, which helps in effective communication and better discharge of responsibilities, with the head of the company, i.e. proprietor of the company, taking the key Management decisions, Other Key Personnel taking the charge of main operational activities of the business supported by a qualified staff. All personnel are well deserved and well qualified in their respective fields, contributing in the organisation’s overall growth. and prior to that he was doing his own business of Architect and interior designing. Mr. Asif Ali: Mr. Asif Ali is a B.Arch. graduate and a very well experienced person of the industry and throughout his career he is involved in the procurement and designing at all types of places. Mr. Asif also takes care of all the activities e.g. financial matters, storage of material, transportation etc. He is with the company since last 10 years. • Installation of the products . Expansion of the Network- The Company is already having its established Network of Retailers and Distributors in the state of UP and the adjoining areas. Now in order to make its presence in the other parts of the country the company is taking further steps. It is already into talks with some of the distributors and retailers in the other northern Regions where it to expand its footage. Brand Building- The Company already have its established brand with the names Hayatt. Now in order to establish its brand further in the different parts of the country the company will resort to heavy campaigning and advertisements through Print media as well as Electronic media. Product Awareness- Hayatt Interiors’s Market strategy would be to enhance public awareness toward theses products through its campaigns which in turn will raise its top line as well as bottom line. The company has his own marketing set up besides having chain of distributors. 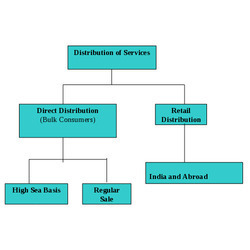 In the retail Side Company has entered into understanding with small retailers for display of company’s services for direct sale to small domestic consumers. All this is showing a good response for their product. Bulk sales are done through distributors’ network. All the designing is done keeping in mind all the specifications and requirements of the clients. There are various parameters like design, color, materials and many more are taken into consideration in order to meet with the exact demands of the clients. At the same time, we also suggest and guide our clients in making the right decision. Apollo Tyre India Ltd, Gurgaon. Venus Control & Switchgear Pvt. Ltd., Gurgaon. Manak Shoes Pvt. Ltd, Gurgaon. G.D. Goenka World School, Gurgaon. Preggro Seed Co. Pvt. ltd., Gurgaon. Indra Gandhi International Airport Terminal 3, New Delhi. Rajiv Gandhi Petroleum Institute Rai Bareilly. Marina Estate Apartments Marina DUBAI (U.A.E). There is steady rise in the TNW of the Hyatt Interiors. 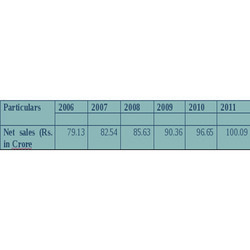 With consistent profit the TNW of the company is showing positive trend year after year and has risen steeply in the year 2009, 2010 and 2011.